bobfrancis (3 years ago) Inappropriate? mclarkinfo (5 years ago) Inappropriate? This is a great model and really funny. Many thanks for all your hard work. tribann (6 years ago) Inappropriate? very kind share of a very kind shark ! thanks. may be power Poses ? I'd like to use lipsync with this model do you think it could be possible ? Thank you. I love toon characters. Thanks for sharing. Watch, if you like, what I did with it in animation gallery. Thank you so much for this toothy toon! Thanks so much for sharing. Great job! Gunmetal (8 years ago) Inappropriate? Very cool freebie....thanks a million! SpookieLilOne (10 years ago) Inappropriate? OMG he is adorable awesome THANKS!!! I love the movie theme you have your this wonderful shark. This is great. Thank you for this great toon and the smile it gave me too. Super CUTE! Thanks a lot! pokeydots (10 years ago) Inappropriate? Wow! Thank you so much for sharing with us! I love all toon characters! Vilian (10 years ago) Inappropriate? OMG - what a supercool guy! 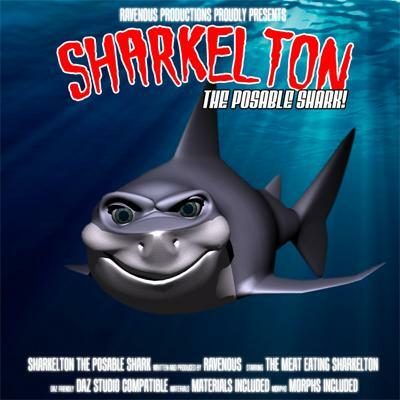 I love toonimals, and such well done toon shark is a welcomed addition to my Runtime. Thank you very much for sharing such an awesome goodie!